Hay House Inc., 9781401953249, 272pp. Every person has a story, a personal narrative that informs their life, their decisions, and their way of thinking. But did you know that it also affects the wiring of your brain? Renowned psychiatrist and professor at Harvard Medical School John Sharp, M.D., offers an eight-step process to discovering your unconscious narrative and using your new insight to eradicate the "false truth" that has been at the core of your self-sabotage. His unique approach integrates four core domains of applied psychology—control mastery theory, attachment theory, narrative therapy, and positive psychology—with his own research and professional experience to construct an insightful and soul-searching path to insight. Dr. Sharp’s approach is simple and accessible, with the power to wield profound results. Through exercises, quizzes, thorough exploration of case studies, and clear guidance, you will be able to find your false truth, rewrite your story, and transform your life. Once you have flipped the switch of insight, nothing can hold back the light that shines from within. John Sharp, M.D., is a seasoned medical professional, board certified psychiatrist, and media expert. He is on the faculty at the Harvard Medical School and David Geffen School of Medicine at UCLA and has treated patients clinically for 20 years. He is the author of The Emotional Calendar and a blogger for Psychology Today and the Huffington Post.He is also an elected member of the American College of Psychiatrists and served as a standing member of the Examining Committee of the American Board of Psychiatry Association and the Academy of Psychosomatic Medicine. Dr. Sharp divides his time between Boston and Los Angeles, and you can visit him online at johnsharpmd.com. "Dr. Sharp is a brilliant and articulate physician. He is an extraordinarily gifted teacher and passionate about helping people. 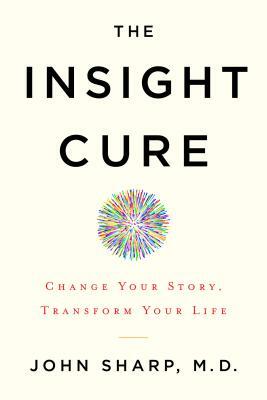 The Insight Cure is filled with much wisdom and compelling stories." "Mental health is an issue close to my heart. There is a staggering need for more information, education, and application of better mental health in America. We need more outstanding physicians who are smart and passionate, clever, and caring. Dr. John Sharp is one of those physicians. He tunes in to a patient’s unique individuality and guides the way to healing. Dr. Sharp stands out in his field as truly a ‘doctor’s doctor.’"
"In the 30 years I have known Dr. John Sharp, I have rarely encountered a colleague with his combination of insight, warmth, and creativity. Beyond his excellence in caring for the person, he brings to his work an astounding breadth of knowledge and wisdom, and his writing is practical and engaging."